You may be new to the martial arts or you may be a seasoned black belt-whatever your rank, it’s always a good idea to practice your martial arts manners. If you are a parent of a student, reinforcing manners at home is key to growing the character of your children. A popular reason for enrolling children in the martial arts is to develop “life skills.” These skills include discipline, self-control, patience, confidence, and courage, among others. The idea with these skills and this motivation is to reinforce what is already being taught at home. Martial arts classes can be a valuable tool for helping to really drive home the points you make at home in a very real way. Proper etiquette is a cornerstone of Martial Arts. While each martial arts school may vary in what is considered proper, there are certain rules that remain consistent throughout the worldwide martial arts community. 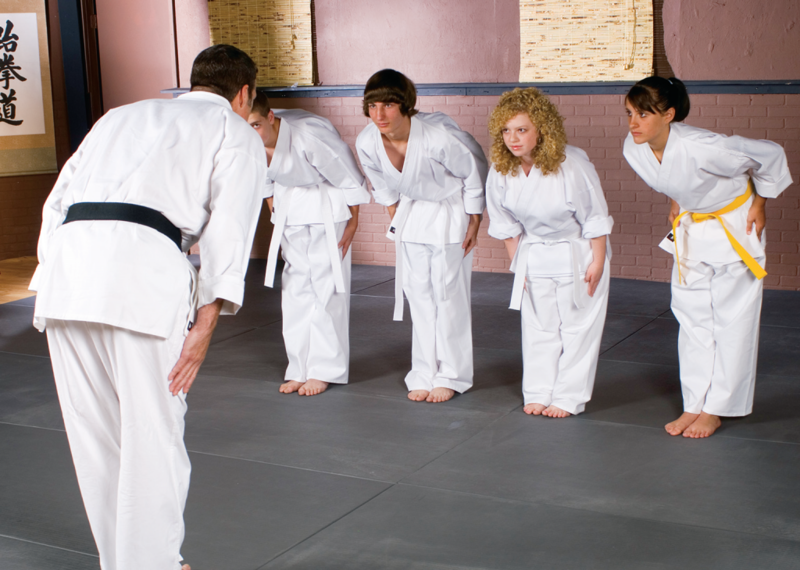 The atmosphere inside any martial arts school is one of courtesy and respect, which is often very different from the atmosphere outside the classroom. For example, inside the school students must address instructors with a respectful title, no matter the age of the instructor. However, outside the school, students are accustomed to calling people by their first names. So it is no surprise that those new to the martial arts often are confused by the etiquette of Martial Arts. At King Tiger Martial Arts, we strive to teach all students proper etiquette that always applies in the martial arts school and hopefully, everyday life; it is courtesy and respect that make true martial artists stand out in all aspects of their lives. And if there are situations for which there is no clear rule, it is always wise — whether wearing a uniform and belt or not — to strive always to be modest, courteous and respectful to all, in particular those who are senior to you. Are you looking for a family friendly place to train in the martial arts? Do you want to be with like-minded individuals who will reinforce the life skills you are teaching your children? Then we are the right place for you! Give us a call right now at 757-410-4999 and get started today! Join the fun at King Tiger Martial Arts where you’ll experience expert training in a fun, positive and supportive environment suitable for everyone in your family. Or simply fill out the box in the upper right corner and take advantage of our FREE 30 Day Trial Membership!